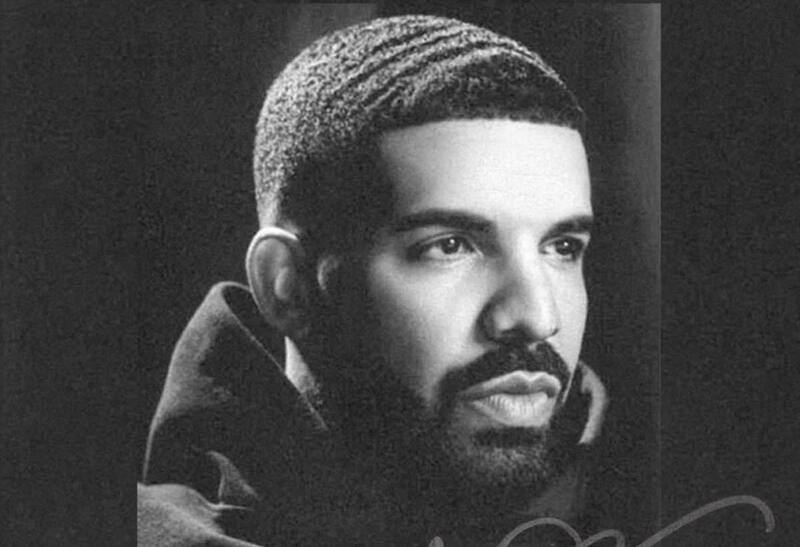 Drake is dropping a whopping 25 songs on his double-disc album Scorpion coming out tonight. Scorpion is executive produced by OVO own Noah “40” Shebib and Oliver El-Khatib and is slated for release on June 29, which will be tonight at midnight. 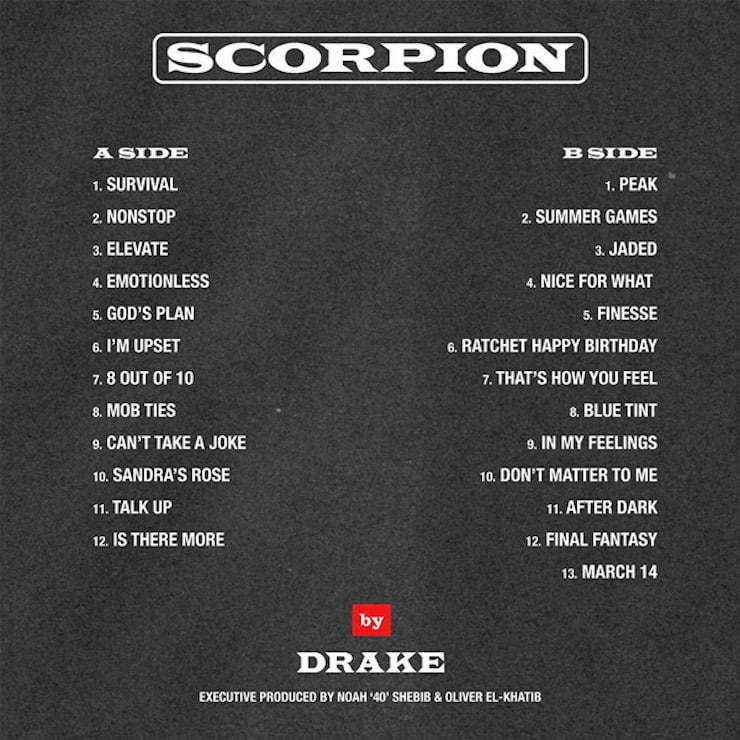 Drake didn’t reveal any guest artists on the tracklist he revealed today, but he includes some previously released singles like “I’m Upset” and his chart-topper “God’s Plan.” Side A of the album comes with twelve tracks and side B comes with 13 tracks, which means Drake has been busy in the studio. There is also a track dedicated to his mother called “Sandra’s Rose” and another song that could potentially be a diss track called “Mob Ties.” Side B of the album seems more of the R&B Drake that we heard on Take Care. Drake has been working on his new album Scorpion for the past seven months and we’re told that he recently made some changes to the project as a result of his beef with Pusha T and Kanye West.